Successful companies employ talented employees. Businesses often have to compete for the best labor. Employer branding is essential for any business which wants to stand out from its competitors in the race for the most skillful and gifted job candidates. While less talented job seekers fight for the less glamorous jobs, the situation is reversed for the genuinely gifted and skilled. These potential employees can pick and choose. They research companies on Glassdoor and select the employer who they believe will give them the best opportunities for career advancement. If your company wants a chance of attracting these top-level applicants you need to find a way to stand out and gain an edge on the competition. You need to ensure your employer branding is the best in your niche. So what is employer branding? Employer branding is essentially a company’s identity. It is what makes the company different from its competitors. It is what makes it stand out. Employer branding is how a company differentiates and promotes itself to potential job applicants. The ultimate question any company has to ask itself is, why would somebody want to work for us? Their employer branding should help provide the answers to that question. 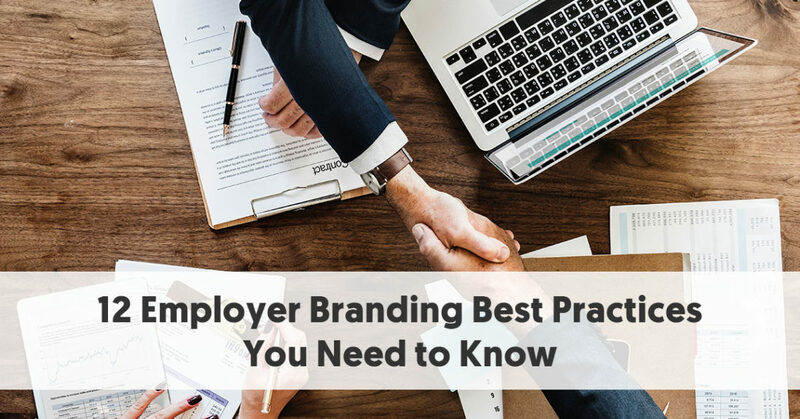 Here are twelve best practices a company should consider when establishing its employer branding to help improve its image with the best job seekers. An organization’s employer branding should not just happen randomly. It needs to consider what its image looks like to potential employees, and then modify its atmosphere to produces the type of employer branding and image that best meets its goals. It is important to remember that employer branding is not the same as traditional branding. You can’t just employ a marketing agency to create your employer branding, “advertise” it and forget about it. Employer branding relies heavily on the actual opinions and actions of current employees. So you need to think of employer branding as something that continues from pre-recruitment through to retirement. It is vital that there is congruence between the corporate branding a company cultivates with its customers and the outside world and the employee branding it creates for its employees. A company that portrays itself as being customer friendly is unlikely to thrive in the marketplace if it sacrifices its employee relationships along the way. For a company to provide high-quality customer service, it first needs to attract the best talent. Successful businesses find a clear connection between treating their employees well, high-quality customer service, and increased profit levels. This is an example of systems thinking. Systems thinking recognizes that the parts of a business don’t work in isolation. The different parts of a company – people, processes, and structures – work together to lead to its success or otherwise. You merely focus on one part of the equation. This means that employer branding is more comprehensive than merely making a company look good for potential employees. It covers all stages of a person’s time working with a company. Disgruntled employees can quickly make their dissatisfaction public nowadays, which will have a negative impact on the chances of hiring quality future talent. So it is better to handle any employee issues first before problems escalate. If you focus your employee branding solely on recruitment, it will have little impact on the company culture, which is a vital consideration for potential applicants. For employer branding to be successful to outsiders, you first need to clarify internally what your company stands for. You can’ showcase your values, goals, and culture unless you are crystal clear on them yourself first. 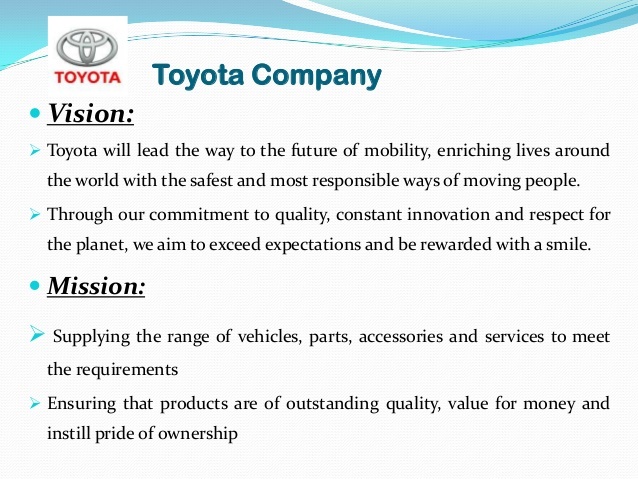 If you have not already done so, you need to create your company vision and mission statements. In what direction does your company what to go? Successful businesses have clear intentions of their course, and they disseminate these intentions company-wide. EmployeeConnect clearly describes the Difference between Core Values, Mission & Vision Statements, and Goals. Your company mission statement indicates what you do. You want it to be clear and succinct, yet different from your competitors, even if you sell a near-identical product. It states your primary company aim. Although your vision statement is similar, it should state what your company aspires to. It should be big and exciting. Your vision statement is how your company dreams it can change the world. Your vision statement should drive your goals and day-to-day decision making. Think of your vision statement as being your view of a prosperous future, and your mission statement as being the path you will take to get there. It is much easier for a company to decide on a path to take if it knows where it wants to go. Without a clear vision and mission, you are in danger of wasting time, resources and money going nowhere. And this will all be clear to current and potential employees and seep into your employer branding, whether you intend it to or not. Once you know your vision and mission you will find it easier to build a set of corresponding values, which will, in turn, shape your culture. You need to consider which values are most appropriate for your organization. You can’t follow them all. If you tried, they would lose meaning, and none would apply to your corporate identity. The corporate values you select will shape your organizational culture – which in turn has a significant impact on your employer branding. Your values are the guiding principles of your culture. They guide your employees’ priorities and actions. Your values are what an organization stands for and what its people believe in. Your values need to be clear, realistic and tailored to your organization. You can’t ignore political factors when you make business decisions. If you were to look at these from a wholly economic point of view your business may benefit from shifting production offshore and recruiting quality talent overseas, at the expense of local applicants. These may even fit in with your mission, vision, and values. Using overseas talent, or shifting production offshore, making local people redundant, may make excellent financial sense. However such activities do have a risk and may have adverse effects on your perceived employer branding and company image. For example, many companies have chosen to shift call centers to cheaper Asian countries. It is common in the Philippines, for instance, for workers to develop American accents to ameliorate some of the effects. 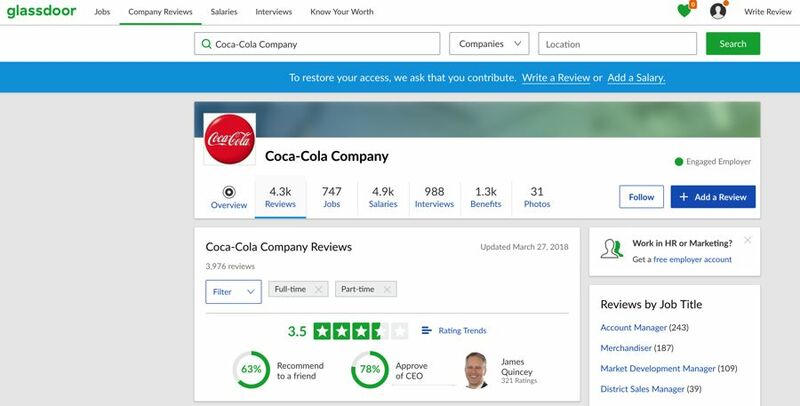 If there is a perception by current employees that their jobs are endangered, they are unlikely to write glowing reviews of your company on Glassdoor. There are risks caused by potential quality concerns or even terrorism in some countries. Companies may find it less damaging to their company branding if they employ or contract overseas talent on a project by project case, rather than shifting entire divisions or tasks overseas. There is a range of external factors that affect the employer branding of a company. Often it is not the issue itself that has the effect, but how a company reacts to the external impact; for instance, how a company responds to predicted declines in their trade markets. Do they quickly make employees redundant, or do they look at other ways and other markets to utilize the excess talent? Likewise, you should think about how your company reacts to potential growth opportunities. How does it go about looking for suitable talent acquisition? Does it use short-term contracts to minimize the risk, yet increase employee feelings of vulnerability? A recent trend has been organizations consult with their entire community when establishing an employer branding. This way all internal and external stakeholders can claim ownership of the employer branding. This helps ensure that all strategic planning documents and actions have the same focus, and lead in the same direction. It enables you to align your employer brand strategy with all of your HR systems, policies, and processes. It also ensures that your employer branding is included in the calculation of your triple bottom line, and interrelates with the customer experience and implementation of sustainable business practices. You will need specific personnel responsible for your employer branding strategy. Don’t feel that you need to source these from your HR department exclusively. You want to develop a team of competent professionals sourced from both outside and within your organization. It makes sense that you create a cross-functional team because the reality is that employer branding affects people from all sectors of your organization. Employer branding involves everybody in your organization. This includes your top leadership team. They should not wholly delegate this, as their buy-in is essential. What do they feel employer branding is? Do they consider it important, and how do they see it delivering value to their organization? Are there any companies they believe are doing it well who we should model our strategy on? Is the primary focus recruitment, retention, or both? What would they consider a suitable ROI measurement? How do they believe we should use our people skills to optimize our strategy? Even if it is clear that the C-Suite have little understanding of a good employer branding strategy, this at least gives a baseline for their current positions. Companies collect vast quantities of data nowadays. With the advent of Big Data processing capabilities, you should be able to incorporate data of all types into your employer branding decision making. Much of this data is external, for instance, you can collect any references to your company online. You will want to monitor social networks for mentions of your company, to give you a good idea of people’s actual views about your organization. You may even be able to access email, images, video and other unstructured data to discover relevant insights. Mobile technologies are becoming increasingly critical, with widespread instant access to smartphones and other mobile devices. You can often find relationships between diverse data sets that were not obvious before the development of the latest artificial intelligence and machine learning tools. You can use this data analysis to determine that you are accessing the best people for particular positions in your company. With the development of mobile technology firms now have more opportunities for employees to increase their learning and upskill their talents. Any company that helps improve their employees’ skills is likely to be looked upon favorably by potential job candidates. 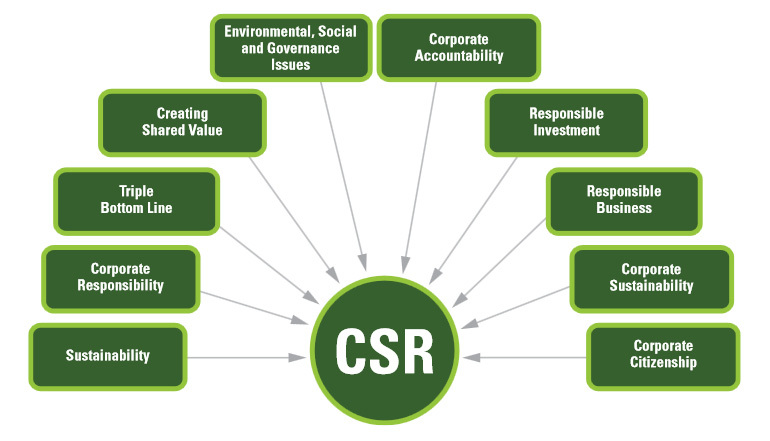 Placing a genuine focus on corporate social responsibility (CSR) will help improve people's perception of your brand. If your company, and its team, are seen to make a positive impact on the environment, people are likely to react favorably towards your company. Ideally, you should create a better social image than your competitors can. For instance, the Bank of New Zealand makes a point of sending all of their employees (including senior management) out for a day each year to undertake some “social good “campaign in their community. They use this as a primary focus in their advertising, and it undoubtedly is favorable for their employer branding and image as well. You need to have more than just a positive work environment and company culture. You need to ensure that people outside the organization, in particular, potential employees, know about everything positive in your company. You have to ensure that your brand image reflects all of the excellent things that happen. As well as the bigger-picture things suggested here, you can improve your external image with careful consideration as to how you look to the outside world. This can be as simple as the appearance of the uniforms your staff wear, the colors, style, and fonts you use on your signwriting, logo, and website, and the tone of any content you release. You may aim for a corporate look, with cool colors, streamlined design, and formal writing. Alternatively, you may prefer a casual look, with bright colors, a more informal style, and friendly language. You need to be consistent with this branding through everything, including your website, social media pages, and any advertisements you place on job boards. Once again, though, everything has to tie together. Your brand image needs to reflect your mission, vision, values, and culture. You need to make sure that you keep up with the times when you attempt to recruit quality talent. Times are changing, and the ways people search for jobs have altered too. One of the first places that a potential candidate will go to research your organization is your company website. If you don’t have a professional looking website (that is written in the same tone as your company culture, reflecting your values, mission, and vision), you are at a disadvantage with modern jobseekers. You will also want to advertise positions on major job boards. A 2015 report by Pew Research found that 43 percent of US job applicants used their phones to search for job position. 18 percent actually applied for positions using their smartphone. If you want a attract a wide range of job applicants you should advertise on a variety of job boards, both well-known mainstream sites, and specialist niche boards. Social media has grown in popularity and importance over the last decade. Companies should have a strong social media presence and continually build networking opportunities. If you want to improve your opportunities for attracting the best workforce, you should work on building up your networks worldwide, connecting with people with a wide range of skills and talents. Make particular use of LinkedIn, which is, of course, designed for professional networking. You should ensure that you connect with a range of other employment brand leaders, as well as people involved in HR, marketing, and communications. Where possible, you should also connect with thought leaders and other interesting people. Don’t forget to communicate with people within your firm, too. As we have written previously, your employees can make your best advocates.